The other day I read a spectacularly insightful interview with one of my all-time musical heroes, Rodney Bakerr. 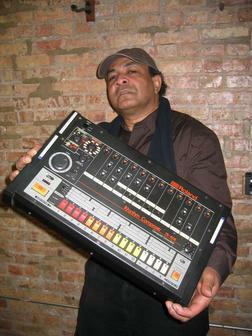 Mr Bakerr was one of the most original and forward-thinking Chicago house producers. With his Rockin’ House label, he created underground acid house hits with an attention for musicality. He often did was is now prohibited : he added live guitars and other live instruments. The result sounded like nothing else at the time, but it was still some darn good dance music! He also contributed in a major way in the shaping of house music after publishing the very first Roland house music drum patterns, as early as 1987! An older cat then the youngsters who were building the house nation, Rodney came from a rock/punk background and offered different insights from the regular disco heads, which is probably why his music still sounds relevent to this day. Here are a few highlights to enjoy while reading the Gridface linked interview.